United Methodist Bishop James K. Mathews had a lifelong passion for mission and evangelism across his long life of 97 years. The son-in-law of noted evangelist E. Stanley Jones, Mathews traveled the world as a Methodist missionary. He made more than 60 trips to India, 28 to Africa, 16 to Latin America, and a dozen to Korea and Japan during his lifetime. However, the office of bishop was not a distinction he sought. Mathews declined the post when he was first elected to serve as bishop in India in 1956. He suggested that Indians should be ministered to by their own people. In 1960, he was on a mission trip in India when he was elected to the episcopacy again [in the United States]. This time, he accepted. He served as bishop of the New England Area for 12 years and then the Washington (D.C.) Area for eight years before retiring in 1980. 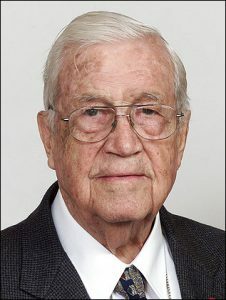 In 1985, Mathews came out of retirement to serve as bishop in Zimbabwe for a year, and during his tenure, he helped establish Africa University. He was called into service again in 1990, leading the newly created Albany Area in upstate New York until 1992. He later served as bishop of the New York Area starting in 1995, when its bishop went on medical leave. Mathews retired again in 1996 as one of the longest-serving bishops of The United Methodist Church. He died on September 8, 2010. In many ways, Mathews embodied what was best about Wesleyan thinking, friends say. David McAllister-Wilson, president of Wesley Theological Seminary in Washington and a longtime friend, said Mathews combined John Wesley’s ideal of “knowledge and vital piety.” He was equally passionate about giving an altar call and calling for civil rights, McAllister-Wilson said. As a bishop, he participated in the 1963 March on Washington for Jobs and Freedom where Dr. Martin Luther King Jr. delivered his “I Have a Dream” speech. In 1978, he participated in “The Longest Walk” in Washington, which drew national attention to the plight of Native Americans. On Easter Sunday in 1964, he and African-American Bishop Charles Golden were barred from entering an all-white Methodist church in Jackson, Mississippi. Decades later, he was invited to preach at that church, which was by then integrated. One of eight children, Mathews was born February 10, 1913, in Breezewood, Pennsylvania. His father was an itinerant Methodist preacher, but Mathews initially aspired to become a physician and was a pre-med student at Lincoln Memorial University in Harrogate, Tennessee. While in college, he had a profound conversion experience, and his brother, the Rev. Joseph W. Mathews, convinced him to enter the clergy. Mathews received a second bachelor’s degree from Biblical Seminary in New York City, earning his way teaching newly arrived immigrants at the Five Points Mission on New York’s Lower East Side. He was ordained a Methodist minister in 1937. He then earned a master’s degree in theology from Boston University School of Theology, where a lecture by an Anglican bishop from India inspired him to become a missionary. In 1938, he set sail for India. The following year at the Sat Tal Christian Ashram in northern India, he met E. Stanley Jones and, just as importantly, Jones’s daughter Eunice. The two married in June 1940. 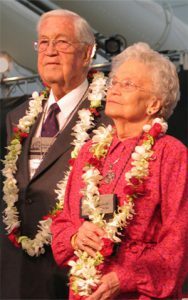 After serving in the U.S. Army during World War II, Mathews returned with his wife to the United States where he pursued his Ph.D. in theology at Columbia University under the G.I. Bill. He also took a post with the Methodist Board of Missions, the predecessor of the United Methodist Board of Global Ministries. As a missionary, he crossed the Atlantic Ocean some 220 times and mastered several languages, including the Indian languages of Marathi, Hindi, Urdu, and Sanskrit. He was “one of Methodism’s mission stalwarts of the 20th century,” said Thomas Kemper, the top executive at the Board of Global Ministries. Adapted from an obituary by Heather Hahn, a multimedia news reporter for United Methodist News Service, September 9, 2010.